Universal Music may still be working ‘Heartbeat’ at local radio, but we’ll bet our bottom dollar that it won’t be too far into the new year before we see the third English language single from Enrique Iglesias’ album ‘Euphoria’ doing the radio rounds. 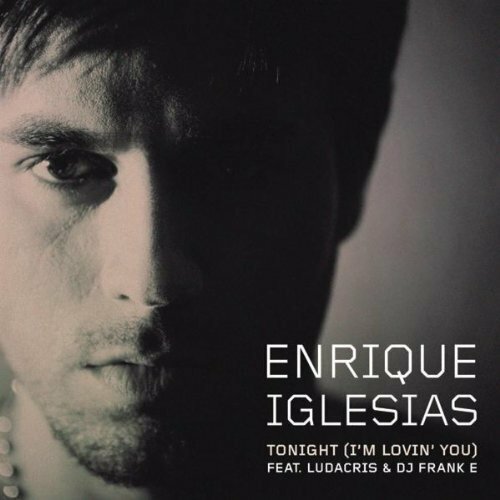 ‘Tonight (I’m Loving You)’ features a guest appearance by man of the moment Ludacris (he’s everywhere) and the clip features a very sweaty looking Enrique (the way we like him) perusing the goods on offer at what appears to be either a nightclub or a gentlemen’s club. Of course, he finds the one he wants to take home, there’s a Ludacris interlude in the limo and some of the screen shots seem to contain imagery that could be construed as being a little too saucy for a G rated clip. More of the same electro R&B pop, but we’ll lap it up for the time being. The explicit version is #1 on iTunes right now!! Yay (: YEAH BABY!!!!!!!!!!!!!!!!!!!!!!!!!!!!!!!!!!!!!!!!!!!!!!! I love this song!!! I prefer the explicit “Tonight (I’m F**kin’ You)” version though. The video’s alright. Yes I know the song isn’t from the Euphoria album, but it will be available on the re-release of it which would be considered the “Euphoria era”. ❤ More like YES PLEASE!!!!! The song has already been serviced to radio stations in Australia (clean version obviously! )- in Sydney I have heard it countless booty shaking (on my part) times on 2dayfm, The edge 96.1 & Nova….also a friend in Perth also mentioned she heard it there!! Oh & FYI- It’s not from his current “Euphoria” album, probably will be on the re-release though….YAY!! ❤ Lovvvvvvvvvvvvve Enrique (in case u couldn’t tell! Cannot wait until he tours!!!! AAaahh so so so EXCITED!!! Great song. As much as I’m fine with swearing, it sounds so out of place in this song. But I do think this is Enrique’s best from the latest era, just beating out Heartbeat with Nicole Scherzinger. Nova in Melbourne have already playlisted it and it’s about to hit top 50 on iTunes, so this looks like another hit for him. Although I think the ‘f***ing’ version is kind of unnecessary. What’s NUMBER ONE????!!!!! I want to know!!! Please be Bruno Mars, please be Bruno Mars, please be Bruno Mars….